So it’s not only factories and chemical plants that are at fault. Common rural folk are too! SCMP: “Many were shocked when thousands of dead pigs were found floating on Shanghai’s Huangpu River this month, but animal carcasses are not the only things that end up in the nation’s waterways. Rivers and lakes are among the major dumping sites of some 190 million tonnes of household waste generated in rural areas every year, most of which are casually dumped without being recycled or properly treated, according to a bill submitted to the annual session of the Chinese People’s Political Consultative Conference in Beijing last week. Research by the China Association for Promoting Democracy, one of the mainland’s eight non-communist political parties, shows that most household refuse in the rural areas is piled on the side of roads, dumped under bridges, in fields or on river banks, or simply burned. Researchers said the variety and amount of rural waste had risen markedly over the past decade as living standards improved. In rural areas, household refuse used to comprise mainly of kitchen waste and ash from burning coal or firewood, but Wang Jinxia, a researcher at the Chinese Academy of Sciences‘ Centre for Chinese Agricultural Policy, said there was now more plastic packaging, sanitation products and even furniture in the thrown-away waste. Wang said the limited amount of household waste, most of it biodegradable, could be absorbed by nature’s self-cleaning capacity in the past, but now the amount and variety of trash had far exceeded that capacity, threatening the environment. “It [dumping refuse in rivers] is a rather prevalent phenomenon … in some extreme cases, the rivers are even clogged,” Wang said. In the past month, photos have been posted online in a campaign to record polluted rivers, some completely covered by garbage. A stream in the Yongding county of Fujian province was used as a dump for waste including glass bottles, plastic bags, used lanterns and even furniture. Last month, a Zhejiang businessman offered a 200,000 yuan (HK$247,000) reward to an environmental official in Ruian in challenging him to swim in a river full of household refuse and waste rubber from a shoe factory. Every summer, 150,000 to 200,000 cubic metres of refuse is retrieved from the reservoir above the massive Three Gorges Dam to prevent it from jamming the floodgates, official media reports say. The waste include tree branches washed into the Yangtze by torrential rains, but most of it is household refuse from families living along the river’s upper reaches. Some rivers in cities have also become casual dump sites. For example, The Beijing News reported this month that the authorities had retrieved more than 10,000 corncobs from the moat of the Forbidden City – among the four tonnes of refuse that tourists threw into the Tongzi River. Some sections of the waterway in the old town of Lijiang , a popular city for tourism in Yunnan province, were also found to be congested with plastic bottles, disposable tableware and other refuse, China National Radio reported last year, while some restaurants were accused of discharging their wastewater – containing grease and detergent – directly into the river. The mainland banned the dumping of household refuse and industrial waste in rivers, lakes, canals and reservoirs in 2004 when the Solid Wastes Pollution Prevention Law was amended. But researcher Wang, who did a survey of about 120 villages in seven provinces in 2010, said there was no such government oversight in some regions. The high cost of refuse collection and treatment had also discouraged some local governments from tackling the problem, Wang said. For instance, a town with 50,000 residents would need to spend at least 3.5 million yuan a year for proper waste disposal, Wang said. via Millions of tonnes of rural refuse are dumped in waterways a year, bill says | South China Morning Post. * Could Mao Zedong’s great grandchildren be making long march to US universities? SCMP: “Could Harvard be on the cards for the great grandchildren of China’s revolutionary leader Mao Zedong? Granted, they are currently still 10 and five years old. But their father, PLA major general Mao Xinyu, said he would be open to the possibility of his children studying abroad. Mao Xinyu is one of the founding leader’s four grandchildren, and the only one fathered by a son. “We won’t stop them from studying overseas providing they are willing and capable,” Mao Xinyu said of his son, 10, and daughter, 5, on People’s Weibo, a state-owned microblogging service similar to the more popular Sina Weibo. Mao Xinyu, a military researcher and a member of the Chinese People’s Political Consultative Conference, was in Beijing this week to attend the annual parliamentary meetings, where he is a media favourite – known for his off-the-wall comments and comical behaviour. via Could Mao Zedong’s great grandchildren be making long march to US universities? | South China Morning Post. WSJ: “Between questions of censorship, laws that require complicated listings in U.S. markets, and fierce and often public confrontations between companies, China’s Internet industry has always had an uncomfortable relationship with the government. 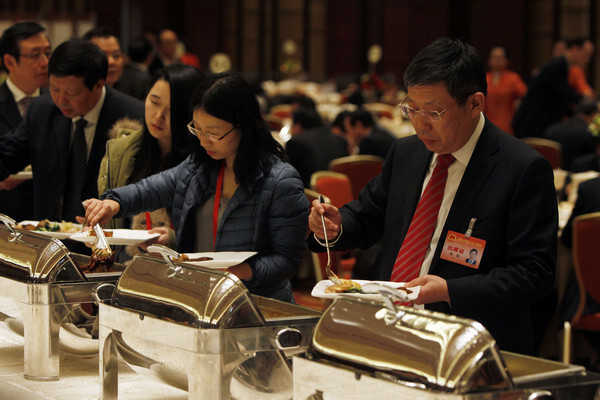 via China Internet Executives Get a Seat at the Table in Beijing – China Real Time Report – WSJ. China Policy Institute: “This year’s Lianghui, the National People’s Congress (NPC) and People’s Political Consultative Conference (PPCC), is important in the sense that a new government will be “sworn in”. Following last November’s Party Congress, the Premier-in-waiting will be confirmed at the NPC session. He will take up his position together with a whole new cabinet—following the forming of a new Central Committee of the Party, ministers are expected to be reappointed as well, with a five year term ahead. But the more critical question is what policy initiatives will the new government press ahead in order to show that it is the right government for the country. The new Party leadership emerged out of the last November’s Party Congress carries a strong mandate of “reform”. Now that the honeymoon effect between the new leadership team and the country is starting to fade away, citizens are watching carefully what the leadership indeed has to offer in terms of real actions. Before the Party’s Congress, there was already indication that the new leadership team would take structural reforms quite seriously. There was indication that Xi Jinping was already commissioning reform proposals throughout the last 1-2 years. Li Keqiang, to be confirmed as Premier at this Lianghui, was also quick to signal that he was a reform guy and his government will take concrete reform measures. But it will be too early to expect the leadership team to roll out a comprehensive reform plan at this Lianghui. Between the conclusion of November’s Party Congress and this Lianghui, there was simply not enough time to forge a consensus among the Party elite. via China Policy Institute Blog » Reforms and Restructuring at the NPC Session: Managing Expectations. In 2011, China laid out a 10-year development plan for the middle and western areas of the country, demarcating 14 impoverished regions and creating development plans for each region. Three of the 14 regions are in southwest China’s Guizhou province, which has a total of 65 counties listed as impoverished. “When these areas develop, it will help to effectively close the gap with the eastern part of the country,” said Li Zhanshu, secretary of the Guizhou provincial committee of the Communist Party of China and a deputy to the National People’s Congress (NPC), which is meeting now in Beijing. The gap between the coast and many other parts of China is indeed large. From 1978 to 2011 per capita GDP in coastal Zhejiang province has risen on average 11.6 percent per year to $9,000 in 2011, far above the national average. This figure is about three times the amount for Tibet and Gansu province, in China’s west. via A tale of two regions|Economy|chinadaily.com.cn. 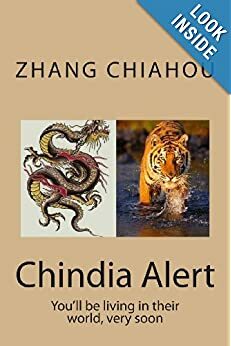 Given China’s success at creating a major ‘municipality’ of Chongqing in 1997 to act as a magnet in the centre of China, we shouldn’t be surprised if in 15 years these impoverished regions start to become more like the coastal regions of China. The Hindu: News / International: “Ahead of the third anniversary of the March 14 riots in Tibet, a top official from the region said the government would pay more attention to preserving Tibetan culture to address rising concerns about imbalanced growth. “If there is no culture, there will be no development,” Na Ceng, a Tibetan adviser to the Chinese People’s Political Consultative Conference (CPPCC), China’s top political advisory body, said in an interview with The Hindu. Ceng is among a group of delegates who has pushed forward a proposal for China’s first ever law on the preservation of intangible cultural heritage, during the ongoing annual session of the National People’s Congress (NPC), the country’s top legislative body. The law, passed by the NPC this week, mandates that regional governments should do more to preserve minority cultures, including oral literature and cultural practices. Asked about recent protests over a move to expand the introduction of Mandarin Chinese as “a common language” in Tibetan universities, he said it would be ensured that “only Tibetan language” was spoken and taught in religious institutions. In October, hundreds of Tibetan students in the western Qinghai province and in Beijing protested the policy, which has subsequently been suspended. Ceng, however, said “bilingual education” in schools and colleges, for Tibetan students to learn Mandarin, was a necessity, if Tibet was not to be left behind other regions. via The Hindu : News / International : China hints at new development approach to Tibet. 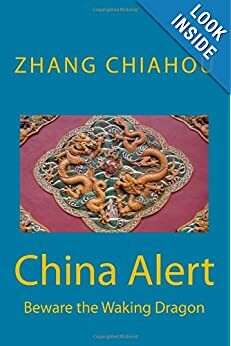 China is keenly aware that it needs to resolve the Tibetan issue before it escalates with an increasing number of self-immolations, not only amongst monks but with lay citizens too.